Hannah ter Weeme joined StrategyCorp in 2018 as a Consultant in the Communications practice. Prior to joining StrategyCorp, Hannah worked as a Change Communications Specialist at the Ontario Ministry of Community Safety and Correctional Services. As the corporate communications lead on the Correctional Services portfolio, Hannah led innovative communications planning and internal stakeholder engagement initiatives on a variety of high-profile projects. 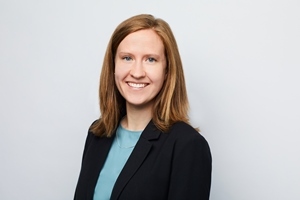 Notably, Hannah worked on the recently legislated transformation of Ontario’s adult correctional system – developing communications resources to help guide frontline managers and staff through unprecedented change. She also worked on a large-scale infrastructure project – engaging staff on plans to design and build modern correctional facilities in Thunder Bay and Ottawa. Hannah is a graduate of McGill University, where she earned a Bachelor of Arts in History, with a double minor in English Literature and World Religions. She also speaks French.